By Sia in Gadgets. Updated on August 16, 2017 . If you’re a programmer, chances are good that you’ve heard of Vim, an impressively powerful text editor that is notorious for being extremely complicated. While getting to grips with the editor will take some time, Manchester-based Editor Keys is looking to take some of the difficulty out of learning the Vim. To do so, the company has designed the Vim Keyboard Cover. 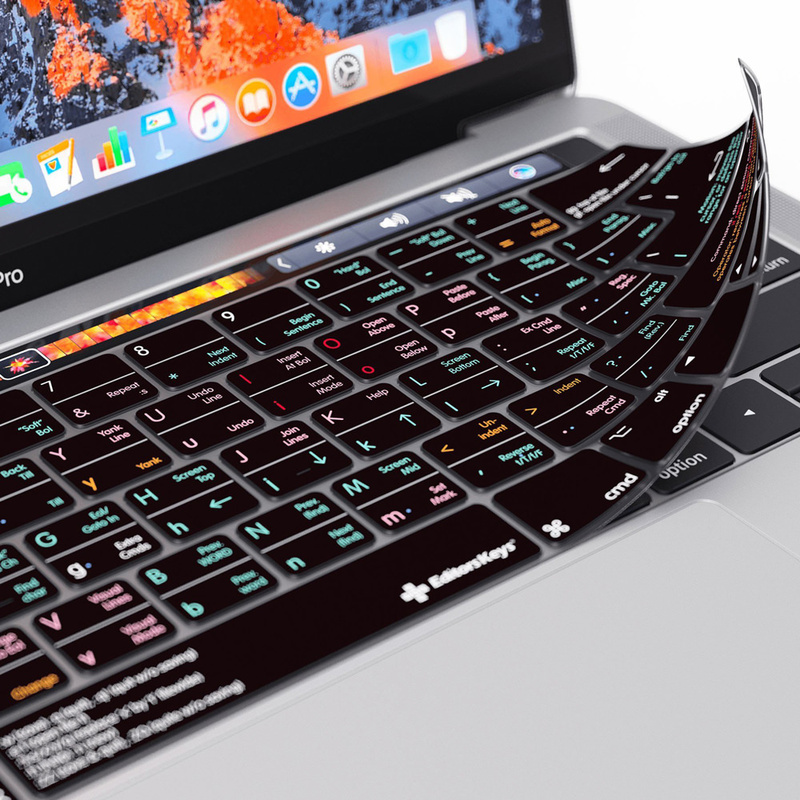 As stated by the product’s name, the Vim Keyboard Cover is a silicon-based keyboard cover that is overlaid on your MacBook’s keyboard. What separates the Vim Keyboard Cover from other silicon keyboard covers is the presence of helpful texts that informs you of what each button does in the Vim editor. Once the Vim Keyboard Cover is placed on the keyboard, all you have to do to navigate Vim is to look at your keyboard. While you may still need to look up online guides and tutorials to learn about the more complicated aspects of the editor, navigating the editor will no longer be a huge headache. In addition to helping you navigate Vim, the keyboard cover will also protect your keyboard from dust and spills. Interested? 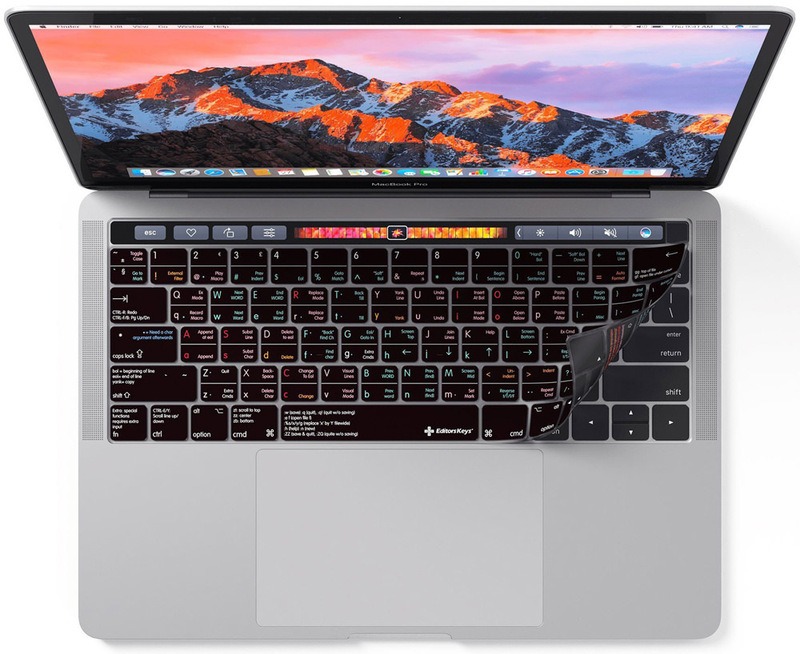 Editor Key’s Vim Keyboard Cover is currently available for the MacBook Air, the MacBook Pro Retina, and the MacBook Pro with Touchbar. While the keyboard cover is rather pricey at GBP27.99 for one, the time you’ll save from not having to read up on the basics of Vim means that it is a worthwhile investment.